After the other day’s sucesess with fixing my dimpling errors, I need to run to the aviation department of my local big box store and grab a 6′ long 2×8 to cut in half and some hinges to make my homemade bending brake. 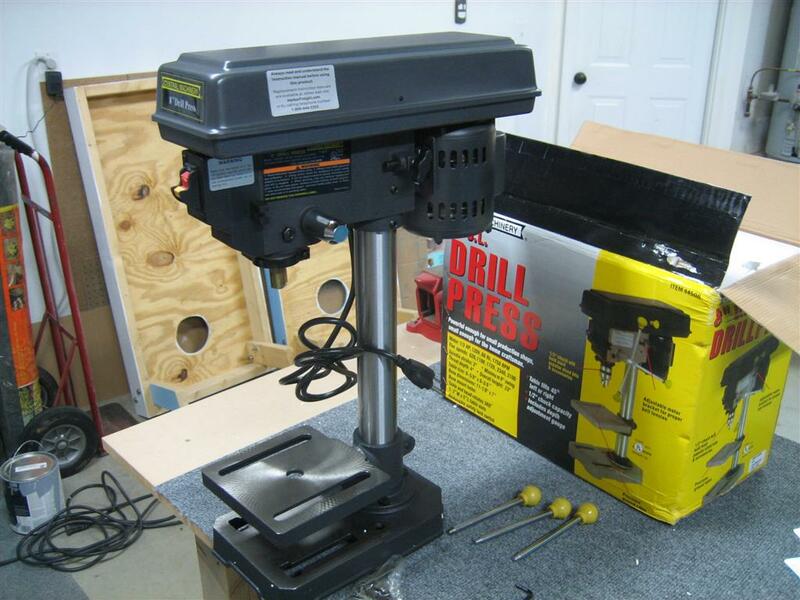 Instead of making it there, I had to stop by Harbor Freight to grab this drill press. Normally $90, I got a coupon in my email for $49.99. I can’t pass that up. The box is a little damaged, but everything inside was okay. A blurry shot of me starting to assemble. Another in-process shot. This is surprisingly nice quality. I had to install the little yellow knob to help open the lid. After this shot, I moved the belt down to the lowest speed (650 RPM, which is still pretty high). 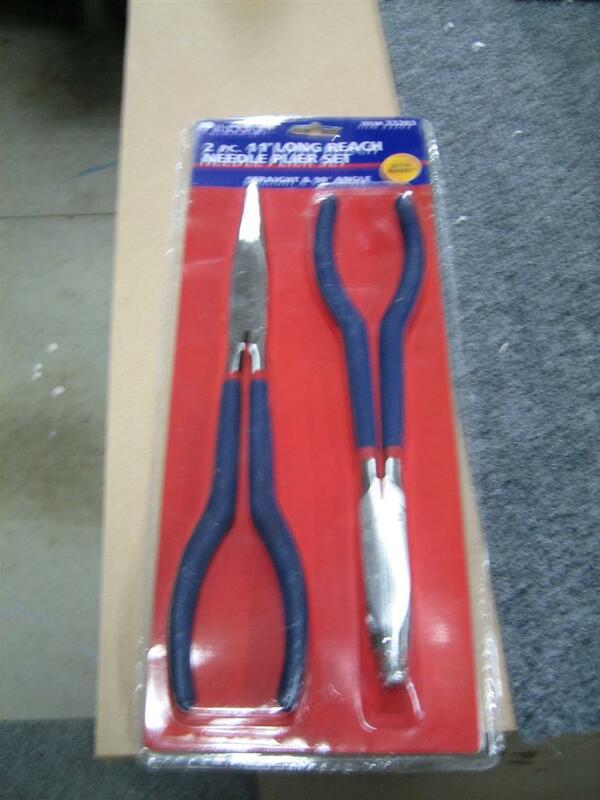 I also bought these cool long pliers. I didn’t need them for the airplane specifically, but rather my girlfriend needed them to help clean out a hair clog in her sink in the bathroom. Good excuse to buy tools, and they don’t get accounted for on the airplane budget. Wuhoo! Pretty nice pliers. I have a feeling I'll be using these often. 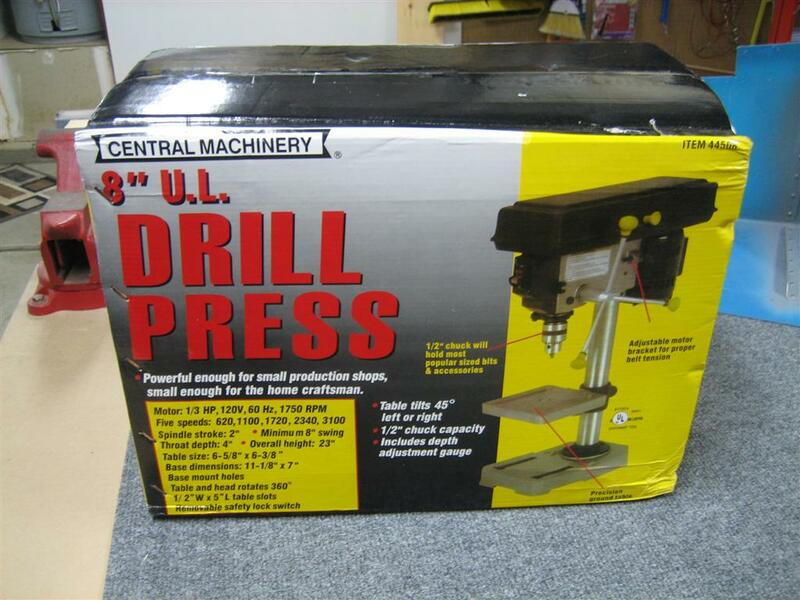 In the same email for the drill press, they wanted to sell me a (normally $15?) 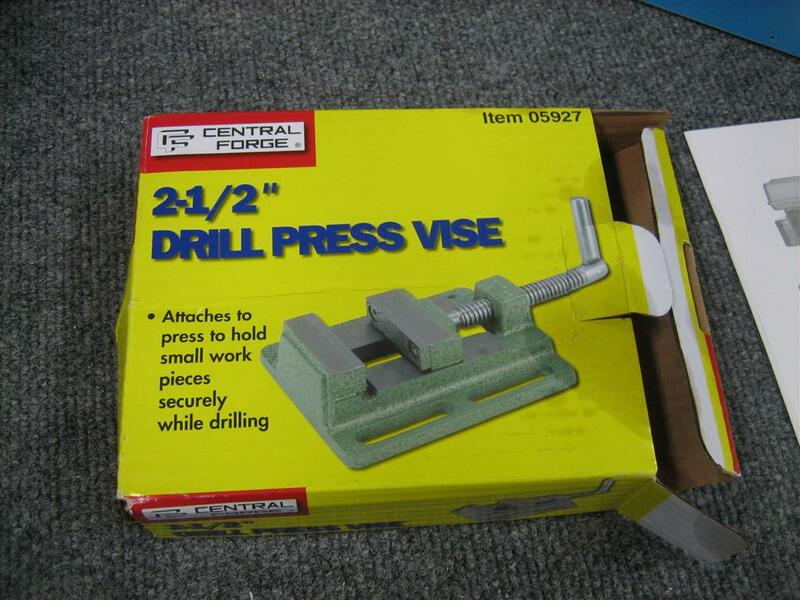 drill press vice for $7.99. Who am I to say no. I was a little disappointed that this one was only 2.5″. There were 4 sizes above it that looked nicer, but they exceeded my value-for-the-money threshold. 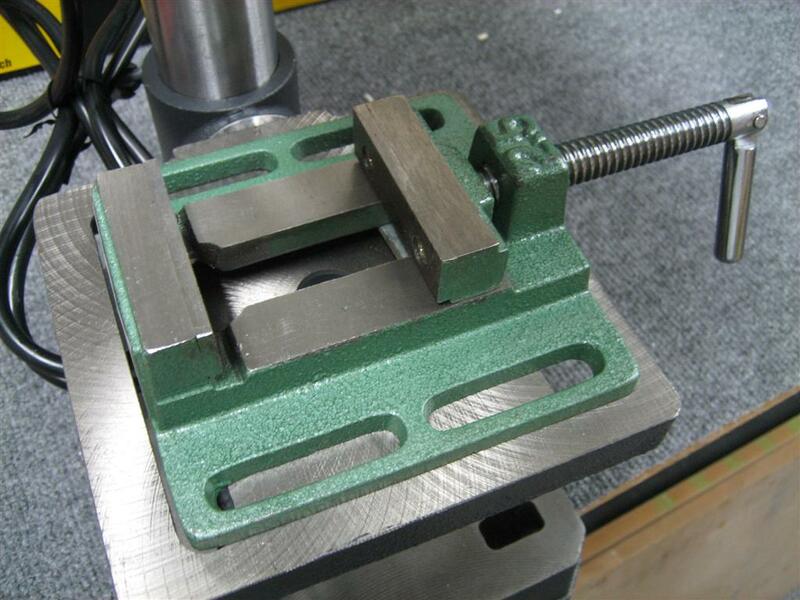 Drill press vise, also had via sale. 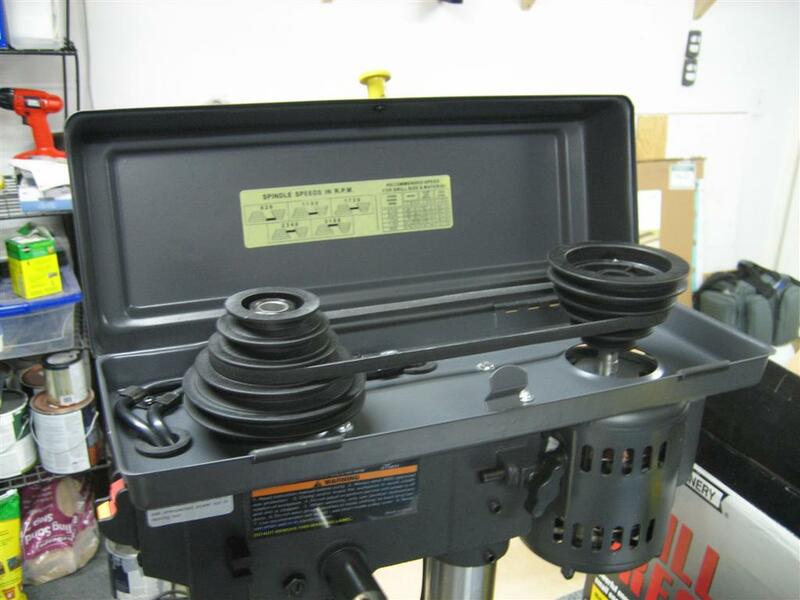 The allen wrench the drill press provided to help with assembly got filed away with my other extra allen wrenches. 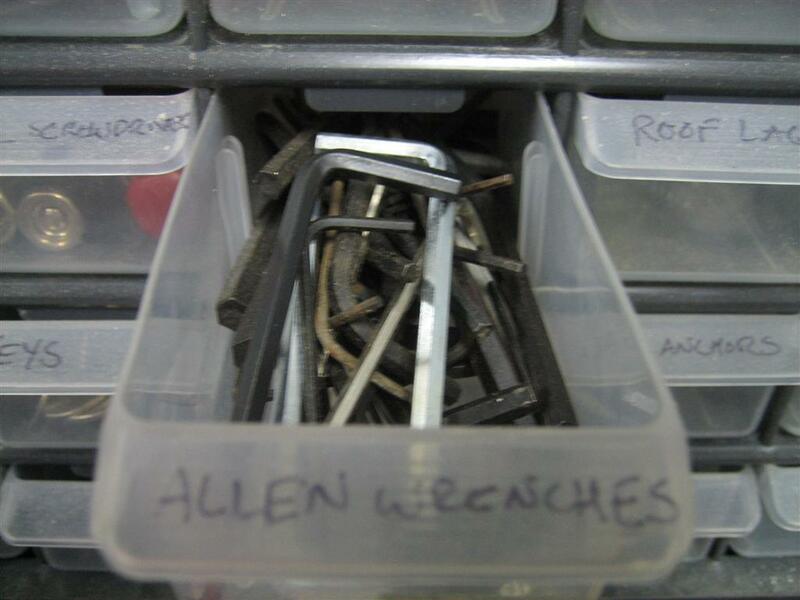 You can see I am a little short on allen wrenches. 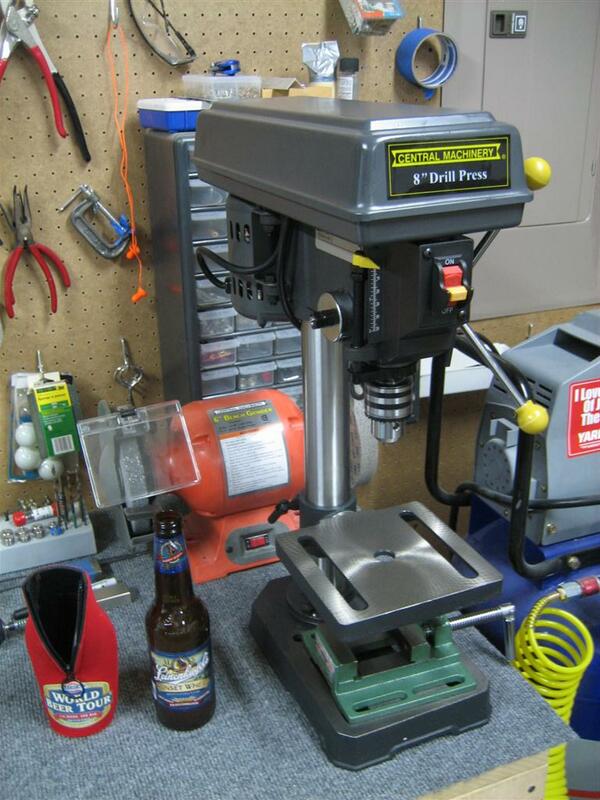 Back to the drill press vice. After a little cleaning, this thing doesn’t look half bad. I'll have to find some bolts to mount this. Except I'll have to move it for different pieces. Maybe I'll just use clamps. 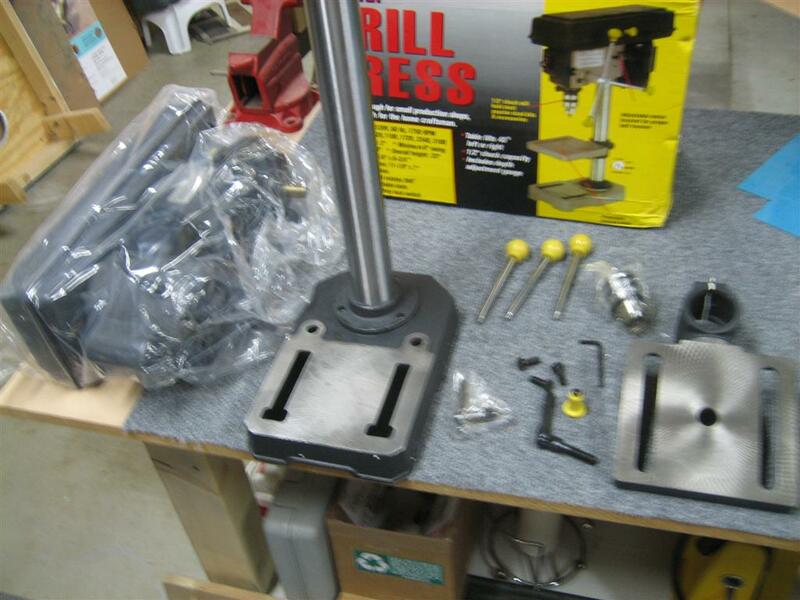 After a few minutes of trying to figure out where to put the drill press. This is what I settled on for now. Notice I'm drinking sunset wheat tonight. Mmmm. No hours tonight on the airplane, just tool assembly. Maybe I’ll grab some wood in the next few days to continue on the right elevator. This entry was posted on Monday, April 26th, 2010 at 9:00 pm and is filed under Tools. You can follow any responses to this entry through the RSS 2.0 feed. You can leave a response, or trackback from your own site.